Last year, the Social Security Administration stated that it would require a two-factor authentication for online account users. Initially, they would use a cell phone for the authentication. The older recipients who said they didn't own cell phones didn't like the idea. So the design changed. However, the government agency moved forward with the idea of ramping up security for recipients using a computer to access their accounts. The hope is to cut back on the number of hacks of government websites. And the agency found success. So, as of June 10, 2017, people logging into Social Security accounts -- will now require verification by either a code via the cell phone or a code sent via an email account. There's no way around it. A two-factor authentication is the best protection today. The number of big online services like Google, Facebook, Yahoo, PayPal, Twitter, Microsoft and more support it and requires the same when signing in from unverified computers and devices. The new security access is not as secure as the two-step cell phone authentication because many recipients use identical passwords for email and other online accounts. If one of those accounts gets hacked, cyber hackers can access Social Security accounts via the recipient's email. But, the one added layer of security can make it more secure if users have a unique password reserved for email accounts. So, follow that tip when setting up a Social Security online account. By having an online account at ssa.gov, recipients can check benefits and manage direct deposits to bank accounts and even send messages to Social Security. Plus, it makes one's life easier when dealing with the agency. Cyber attacks are ongoing and for your protection, it is best to use a two-step authentication. Last May, a hack wreaked havoc on thousands of computers in 150 countries, which left organizations and individuals worried that more are to come. Those affected by the particular malicious software were FedEx and the U.K.'s National Health Service. It's called WannaCry but also known as WCry, Wanna DecryptOr and WannaCrypt, and it took advantage of a security flaw in the Windows XP operating system on PCs. Malware generally shows up as an email attachment. If computer users open that attachment or click on a link in an email, the program will run. Initially, the email may seem harmless, as the sender could be a person in a user's address book. The best way to prevent ransomware attacks is to update your computer's operating system or a software when asked, and do it consistently. 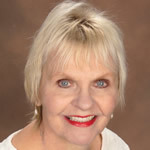 Carol Marak, aging advocate, and editor at Seniorcare.com. She's earned a Certificate in the Fundamentals of Gerontology from UC Davis, School of Gerontology. Aging Matters is a weekly column tackling everyday challenges that our growing elderly population and their loved ones face. It is also published in a variety of syndication partners including newspapers all over the country. Are you an aging industry thought leader that wants to share your knowledge with other experts to educate and inform consumers?